Wear the Blackened Markward Full Arm Guards for complete protection of the upper arm, forearm, and elbow, as well as a touch of stylish edge. 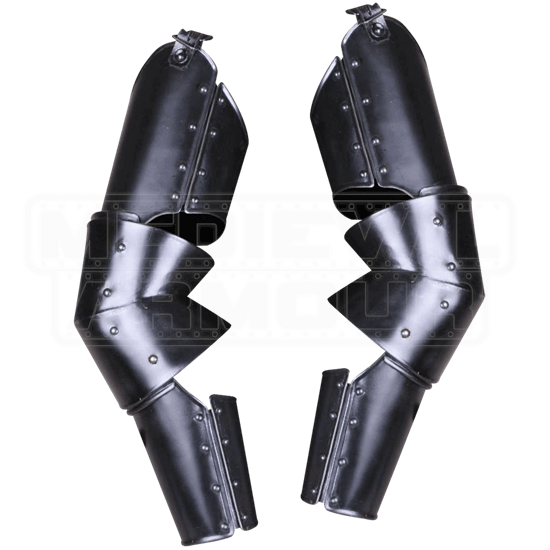 Constructed of seven pieces, these arm guards are secured with buckled straps. 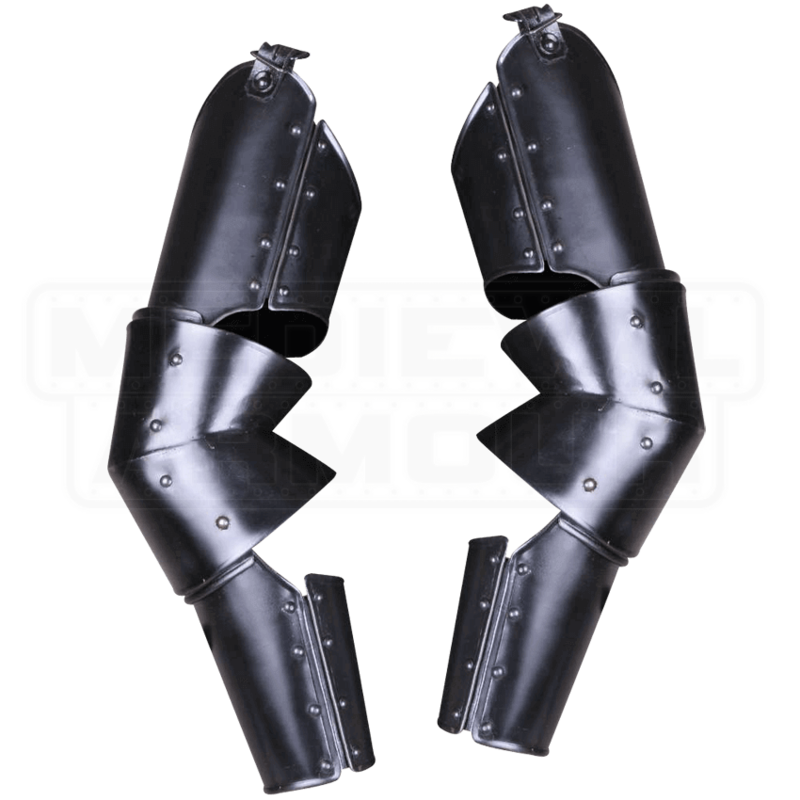 The arm pieces are made of 18 gauge blackened steel, making them appropriate for LARP use. Like most plate armour, these arm guards are more comfortable when worn over protective padding. Versatile in style and design, they will suit a variety of armour sets, particularly those with a darker look to them. They also match our other Markward plate armour pieces, such as the Blackened Markward Full Leg Guards (MY100096).